Vital objective of this term paper is to explain Communication Practice and Public Relations activities of ROBI. 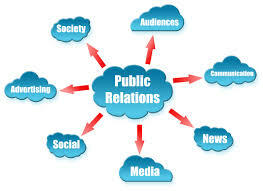 Other objectives are explore public relations activities in the market and describe how much impact is been created with the PR and communication department, how this impact is helping the company in doing business. This report also explain the effectiveness of ROBI print and TV advertisement and competitor’s print and TV advertisement for communication. Finally discuss the effectiveness of ROBI’s Outdoor communication activities. Copyright © 2018 Assignment Point . All Rights Reserved.